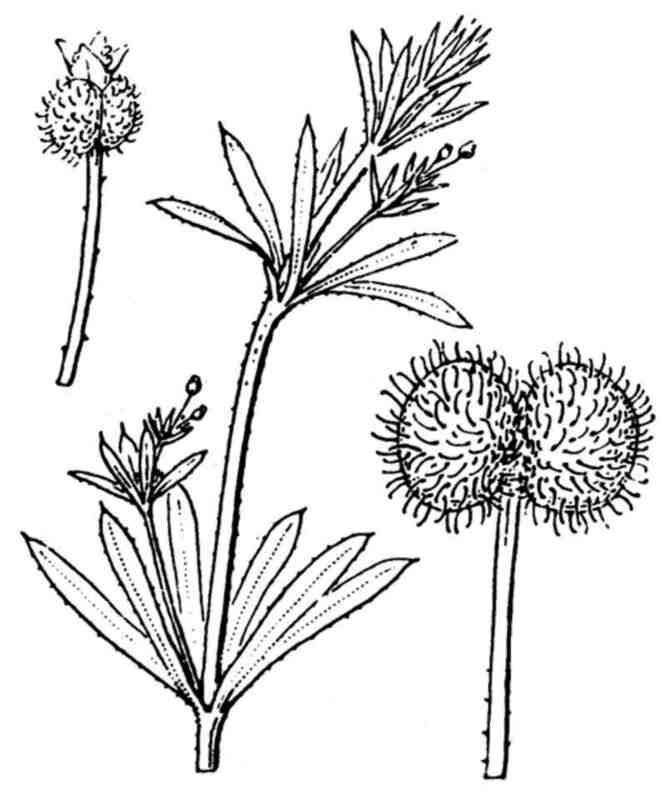 LATIN: Galium aparine subsp. 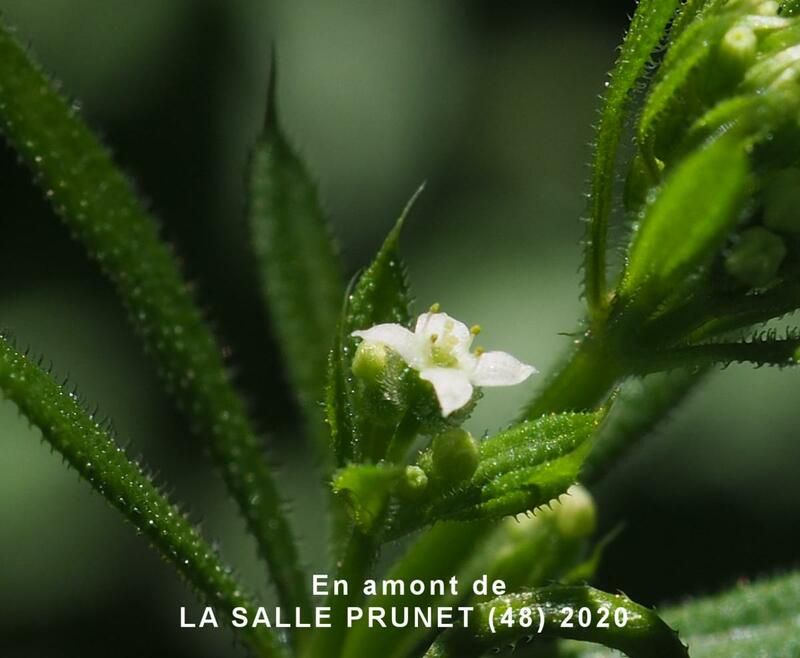 aparine L.
Flora Gallica 2014 as Galium aparine L.
Écologie : Haies, buissons, champs cultivés, dans toutes la France et en Corse. Répartition hors de France : Europe ; Asie occidentale et boréale; Afrique septentrionale. 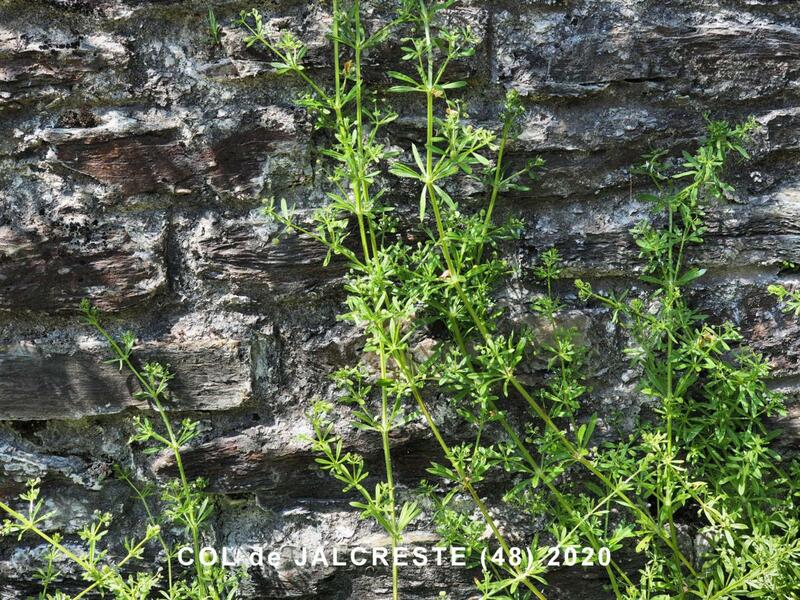 A stout, diffuse annual with climbing, little-branched, rough, square stems 30-90 cm long.. Flowers: 2.2-2-5 mm diam., in few-flowered, axillary cymes; petals white, ovate, acute. 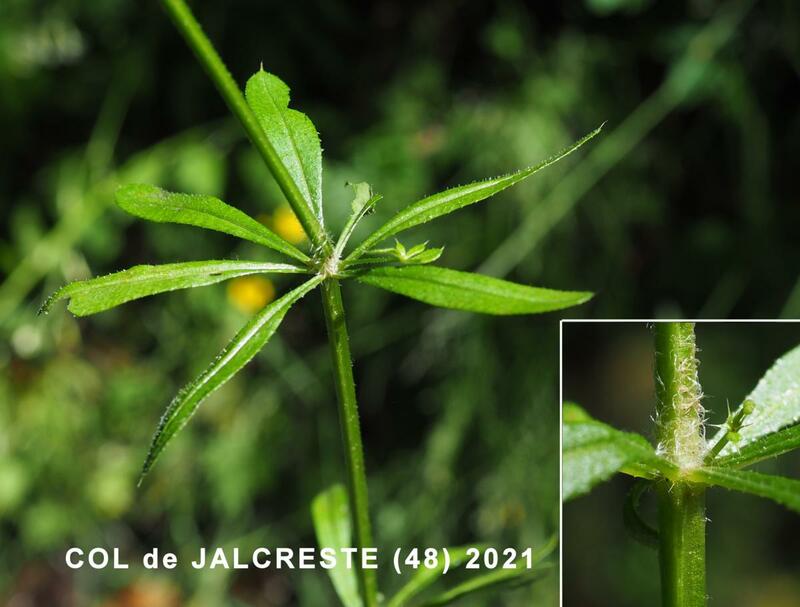 Leaves: 6-8 in a whorl, 20-40 mm long, spreading, lanceolate, broadest part above the middle, covered with numerous hooked bristles. Fruit : à lobes oblongs ; fruits gros (3-4 mm de diam,), couverts de poils crochus tuberculeux à la base. 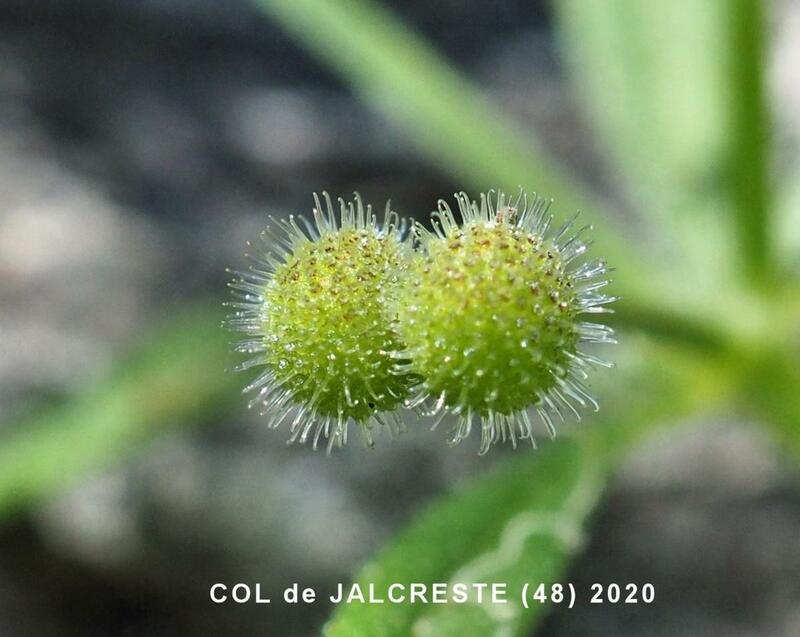 Fruit: fruiting pedicels erect; fruits 5x9 mm, each carpel globular, covered with numerous hooked bristles.